We present to our clients a wide variety of Bells which are crafted in varied shapes and designs. 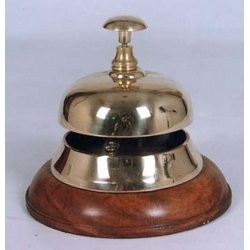 These are manufactured using high quality brass can be availed in brass antique and copper antique finish. Our skilled artisans can provide intricately designed Bells in sync with the latest trends as well as antique designs. Beautiful handcrafted nautical ships hand bell in an antique finish. These ship bells are a must whether it’s a ship deck or s designer office or a simple home of high stature. These ship bells are ideal for placing at homes or even commercial spaces and are available in various sizes, ranging from 2 inch to 18 inch diameter. These ship bells are also offered in three different finishes of antique, polished and nickel. 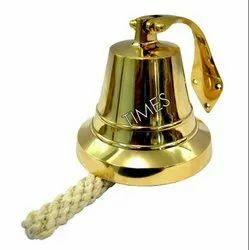 We are engaged in manufacturing, supplying and exporting a superior quality range of Titanic Ship Bells. The offered spectrum is manufactured under the strict surveillance of experienced and qualified professionals using high-grade material. Beautiful designing pocket watch by antique mart..